Blockchain: Your Key To Becoming A Global Citizen! We need proof of who we are, every time we log in to a social media account or access our bank account online. We need to prove who we are when we move to a new house or when we want to renew our passports. How many digital accounts have you created online? How many passwords do you need to remember to access said accounts? The cherry on top of this cake, is that your multiple online accounts and personal identity are fragmented. Whenever you try to delete an account, a backup is ready in its place which is being stored along with all your info by the portal. There are many more ‘YOUs’ out there than even what you are aware of! The need of the hour is one digital representation. Every individual should have one identity across government institutions, service providers and retailers. This gives that individual the ability to control what personal data will be shared and with whom. Had an accident? All your medical records are available for access to hospital administrations. No more running to a government facility with a document trail, only to be denied a renewal on an insurance or a lease or for renewal of passports due to one document not having any random information or stamp. We waste precious man hours and it creates a sizeable hole in our pockets. One digital identity also protects us from identity theft, all with validated, correct and immutable data integrity so no one else can be you. How can we go about achieving that? Surprisingly, the answer lies in Blockchain Technology. Creating the perfect marriage between Biometrics and Blockchain Technology, HYPR offers to its users a password-less authentication. This union increases security to the max while decentralizing the storage of private keys. A humanitarian effort of giving every citizen on this planet a digital identity, the responsibility undertaken by ID 2020 is no mean feat. This platform aims to give digital identity to 1 billion people who exist as refugees but have no proof of their existence. A radical platform that lets you create your own nation and the law on which it shall be governed! BitNation has been awarded UNESCO’s Netexplo Award in 2017. They also offer tie ups with 200+ embassies for all who have registered their identity digitally. 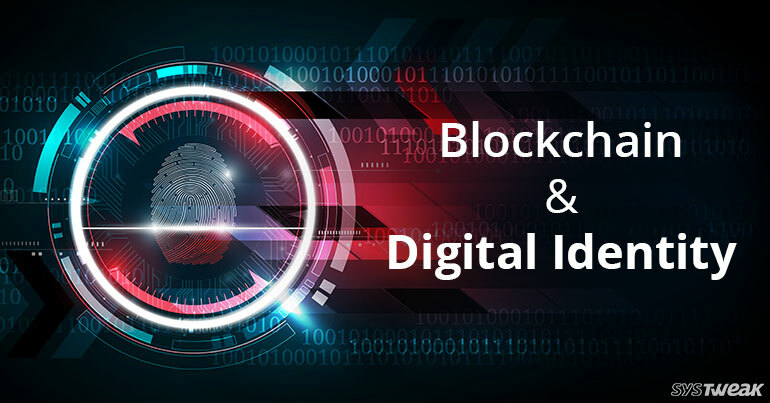 The above mentioned are the pioneers who have implemented Blockchain technology and used it to give citizens of the world a digital and global identity. Estonia has been offering this technology to its citizens since 2008. Blockchain Technology is helping in breaking the rut of being unable to get a job or not be able to save & send money to family and beloveds. We can only hope for a Utopian world where all have equal rights and can access the benefits of one’s identity.